Surfatex | Heavy duty, Industrial, Commercial and Residential Floor Treatments | New Zealand Wide Service. Specialists in dairy sheds, workshops, garages, commercial, industrial and residential floor and wall treatments. For use over concrete floors and drains where protection from corrosion and chemical attack is required. Specialist floor coatings are available in a range of colours, gloss levels, textured or the glass like finish of a self leveling epoxy. Technology has moved a long way in floor coatings. If plant shutdown isn’t possible we have coatings that cure instantly and can be applied while your factory or warehouse is still in operation. Improve site safety with colour coded floor coatings. Highlight walkways and hazard areas in factory and warehouse environments with safety line and pathway marking. 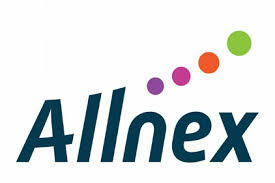 Surfatex work in partnership with Altex Coatings and Allnex to supply New Zealand’s most proven products. Between the Flowcrete range of products supplied by Altex, and the Allnex flooring range, we have solutions for all Heavy duty flooring systems. These systems range from between 3mm-9mm thick floor coatings to two-pot industrial grade paint coatings. The heavy duty flooring protects the underlying concrete from wear, impact, heat and chemical exposure. Our flagship heavy duty flooring systems are resin embedded with a varied range of coloured aggregates for a aesthetically pleasing, seamless anti-skid surface. Typically applied at 3-9mm thick, are extremely durable and strong with proven hygienic properties. It’s quick curing properties mean that floors can be in service only a few hours after installation. A fantastic option when limited application time is available. Ideal for food processing environments, meat processing plants, supermarket flooring through to transportation warehouses and swimming pool surrounds. Our extensive range ensures that there is a product to meet your specific requirements. Options include heavy duty industrial toppings through to the granite like architectural finish of Terrazzo. We have flooring options that include no odour, instantly curing, decorative and non skid – too many to list on this website. Industrial, Commercial and Residential flooring Interior/Exterior. Areas subject to impact, abrasion, thermal shock and chemicals. Food and chemical production areas, where appearance, durability and low maintenance are important. Food, Brewing, Canning and general manufacturing areas. Dairy Industry – Manufacturing, packing areas. Meat Industry – Freezers, chillers and processing areas. Whatever your needs, Surfatex’s expert, fully mobile team will deliver the best quality results. Contact us today. © 2019 Surfatex | Specialist Coating Systems.